A warm welcome awaits at our Church of St Lawrence here in Mickleton. 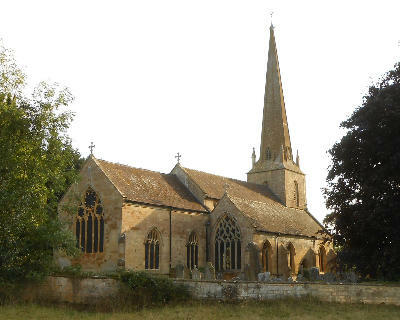 The Church is situated at the foot of the Cotswold escarpment just below Hidcote and Kiftsgate. Part of the church dates back to the 12th Century and is a Grade 1 listed building with many interesting historical features. 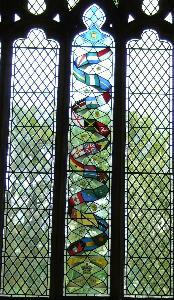 The east window depicts all the stages of the Crucifixion of Christ through to the Ascension and the window in the Lady Chapel shows many flags of the Commonwealth and was installed and dedicated to commemorate the Queen's Jubilee. You will find details of our Services in the porch where you will also find copies of the Parish magazine which gives information about the various organisations in the village. Do please join us in church any Sunday; you will be most welcome. 5th Sunday of any month Combined Benefice Service [see Notices].